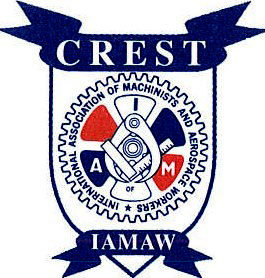 IAM Corporation for Re-Employment and Safety Training, (CREST) is seeking an experienced Vocational Rehabilitation Counselor (VRC) for a unique opportunity. CREST is a non-profit organization providing contract services to employees of the Boeing Company in the Puget Sound area. Our primary focus is delivering quality vocational rehabilitation services during Early Intervention. Our team of VRCs work closely with local union representatives, disability management teams, medical clinics/providers, accommodation services personnel, internal workers’ compensation representatives, and insurance company staff to serve individuals impacted by an injury/illness or other medical condition. Our core services consist of providing Job Analyses of existing work assignments, conducting ergonomics evaluations, assisting with identification/provision of reasonable accommodations, as well as case management activities, attending various meetings, and counseling/consulting on relevant topics. Our regular work schedules are flexed as necessary, to attend meetings during irregular shifts (come in early for overnight shift, and/or stay late swing shift). Successful applicants should live within the Puget Sound area, of WA State (or be willing to relocate). Excellent organizational, communication (written & oral), and presentation skills. Must possess a CRC, CDMS, or ABVE certification. Must be able to obtain/maintain status as an approved Vocational Rehabilitation provider, with WA State Department of Labor & Industries. Must be able to work in a team environment, and deal others effectively and professionally under pressure. Must be dependable and able to maintain a good attendance track record. Detail oriented and ability to multi-task and prioritize, strongly preferred. Proficiency in Windows 10, Office 2013 or greater (Outlook, Word, Excel, PowerPoint), and a wide variety of Internet applications. Recent experience (3+ years) providing detailed Job Analyses, and/or workplace accommodations under the ADA strongly preferred. Standing or Sitting for long periods of time within office and manufacturing environments. Walking long distances on cement or hard surfaces. Extensive hand use for note-taking, and data entry into a computer. Work environments exist with exposure to loud noises, moving traffic or mechanical parts, chemicals and airborne particles. Competitive starting salary with an excellent benefits package including; medical/dental/vision (including family members), STD/LTD/life insurance. A pension plan with generous employer contribution (vested after 5 years.). Qualified travel/mileage reimbursed. Paid training/CEUs also available.